Mr. Bing, which specializes in the Northern Chinese street food crepe (aka a jianbing or bing for short), has been closed for the past month at 115 St. Mark's Place near Avenue A. The sign on the door mentions a closure for renovations. 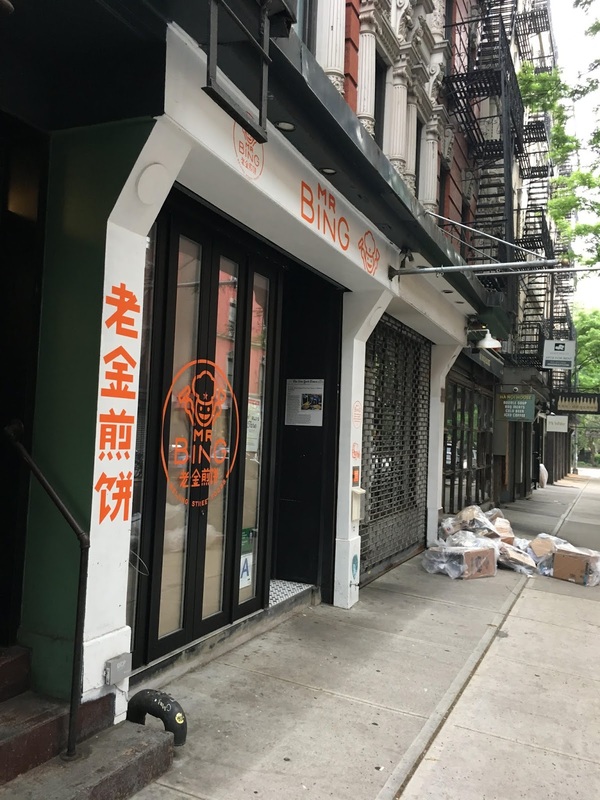 The note to patrons has been a source of confusion for a few residents, given that Mr. Bing arrived as a pop-up business last October that would only be here for several months. A rep for the quick-serve restaurant told me via email: "The pop-up is indeed closed, but Mr. Bing had a great time in the East Village." No word on what's next for the space... or what happens to the beer-wine license that CB3 OK'd for Mr. Bing last September. 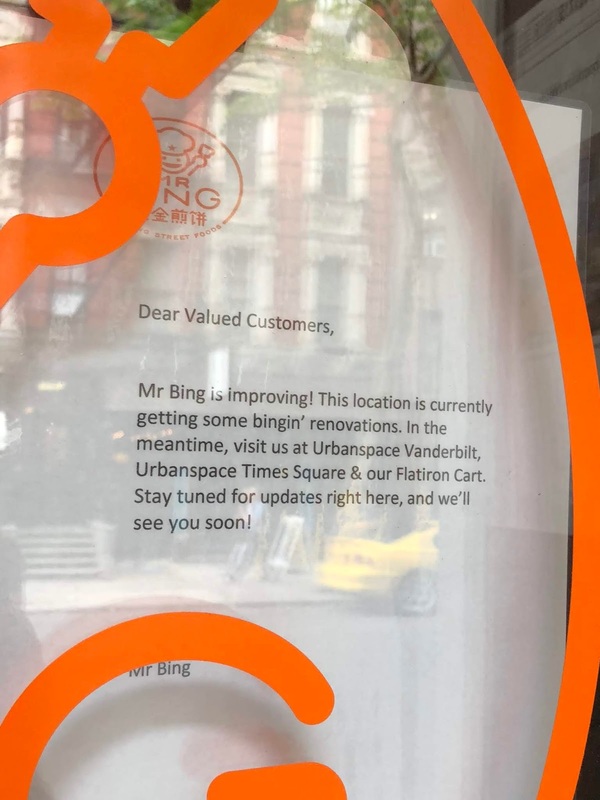 Mr. Bing, a regular on NYC's food market and festival scene the past two years, will continue on at UrbanSpace Vanderbilt food hall, among other locations. The previous tenant at 115 St. Mark's Place, Water Witch Mercantile, closed at the end of 2016 after just two months in business. Every new business in the EV is actually a "pop up" these days. I like my street food at street food prices. These bings were overpriced and underwhelming.